How Can a Bankruptcy Negatively Affect My Life? Individual bankruptcy is a court-regulated process to help people who are buried in debt clear the slate and get a fresh start. That fresh start can be dampened by the negative effects a bankruptcy may have on your ability to find work, get a mortgage, rent an apartment, obtain credit cards or secure loans. You can rebuild credit after a bankruptcy, and these negative impacts on your life are usually temporary. Individual debtors generally can choose between a Chapter 7 liquidation bankruptcy and a Chapter 13 individual debt adjustment bankruptcy. In a Chapter 7 proceeding, the bankruptcy court will appoint a trustee to gather and sell the debtor's assets, other than those exempted by law. The proceeds, if any, are used to pay off the individual's creditors. Chapter 13 bankruptcy involves repaying creditors over the course of several years, typically over a span of three to five years. Taxes and student loans may not be discharged in bankruptcy. Before filing for bankruptcy, an individual debtor must take a credit counseling course. The money for this course as well as bankruptcy filing fees, time and stress of court filings are among the first negative effects of bankruptcy on your life. Credit reporting agencies may including a Chapter 7 bankruptcy on your credit report for 10 years after the bankruptcy discharge. Chapter 13 bankruptcy information, along with other negative reporting, is usually removed after seven years. Filing for bankruptcy can drop a consumer's credit score by an average of 80 points, according to Experian, one of the three major credit reporting companies. If the debt that led to a bankruptcy filing has already damaged your credit score, the negative effect of the bankruptcy on your credit report may be smaller, but if you maintained a good credit rating before bankruptcy, your score could drop by more than 200 points. With a new focus on paying bills on time and re-establishing credit, a person who has gone through bankruptcy might be able to obtain a favorable credit score in as little as two years after the bankruptcy discharge. Bankruptcy may negatively affect your ability to get a job for up to 10 years. While employers are prohibited by law from asking you about your credit in a job interview, employers can legally perform credit checks on their potential employees, especially for positions that require handling finances or client funds. You will be forewarned the prospective employer is checking your credit history, however, as they cannot do so without a signed release from you. A bankruptcy may negatively affect your ability to obtain a mortgage to purchase a house, as well as your ability to rent an apartment, until you have rebuilt your credit rating. Securing a lease before you file for bankruptcy can help ensure you have a safe place to live, provided your credit rating has not already gotten so bad that landlords will turn you down even without the bankruptcy. Small private landlords may not run a credit check, or may not turn down renters for a bankruptcy as long as you have deposit money and employment to cover the rent each month. A lease-to-purchase agreement may help you move into home ownership after a bankruptcy, if you can make the payments on time over the course of a few years. After filing bankruptcy, consumers often receive credit card offers from companies charging high interest rates and fees. Choosing the best credit card terms you can get, using the card cautiously and making payments on time each month can help rebuild your post-bankruptcy credit rating. A secured credit card may be the best option initially. After a year or two of making timely payments, you might be able to obtain a card with better terms to help work your way toward a positive credit rating. National Foundation for Credit Counseling: What is Bankruptcy Counseling? New Hampshire Bar Association: What Is Bankruptcy? 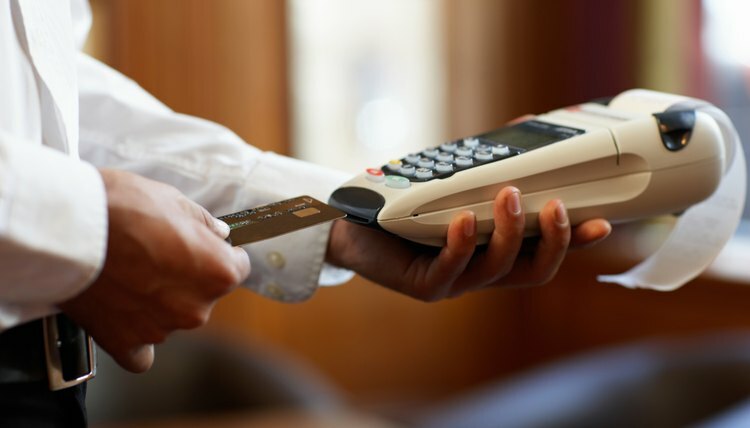 AARP: Can I Get a Credit Card After Bankruptcy?